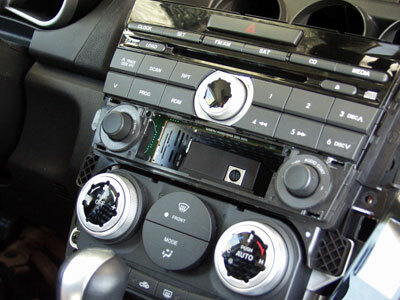 Below are the general guidelines for connecting Grom iPod / GROM AUX / Car2PC interface to the MAZDA CX-7 car stereo. 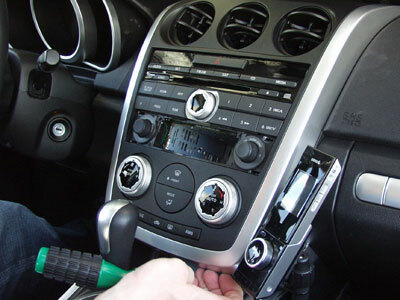 Our posted car stereo removal instructions help with aftermarket adaptor install projects, iPod, XM, Sirius, MP3, Bluetooth, video or audio when stereo removal is needed for installation. 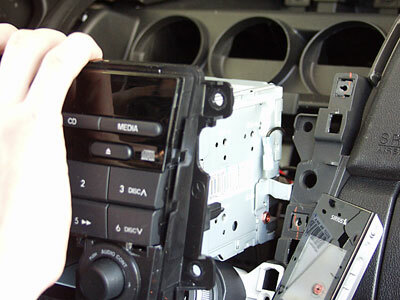 gently remove the whole piece of stereo trim. 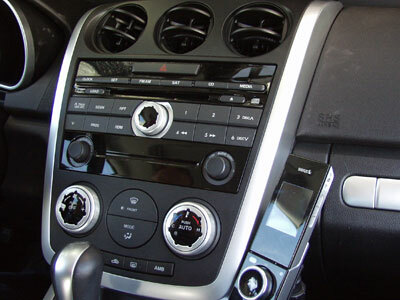 There are 4 strews on the sides of the stereo (4 on each side). 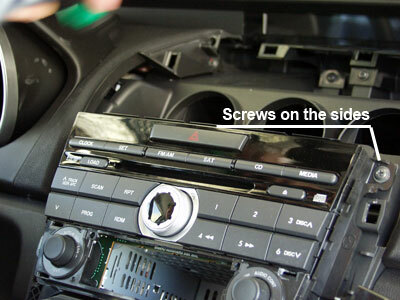 Unscrew all. 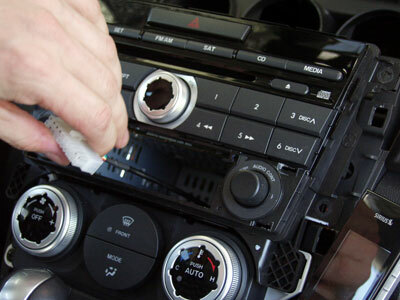 Gently pull the stereo out. 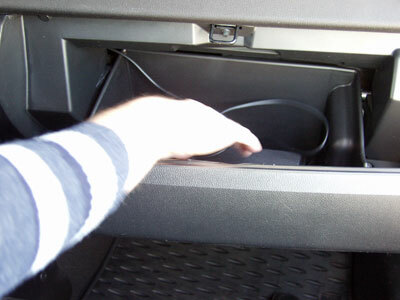 Connect it to the CD changer port located at the back of the stereo. 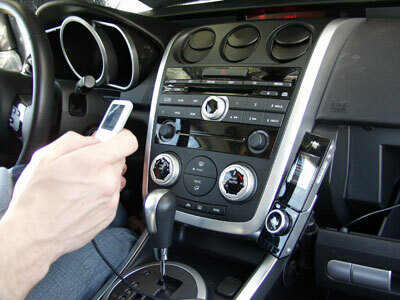 Test the interface to make sure that everything works as it should. 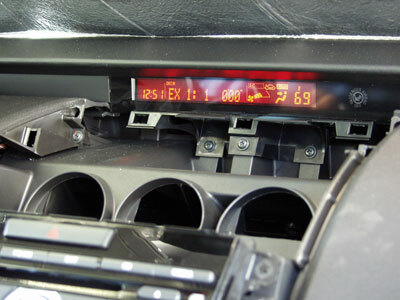 Press the CD button and you will see Disk EX 1 on the stereo. 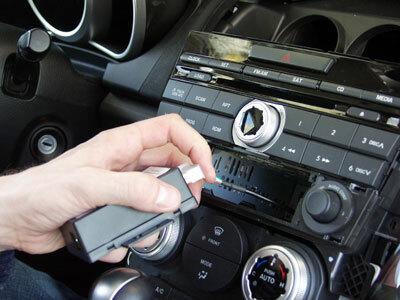 Connect the iPod cable to the GROM black box, connect it to the iPod and test the music files. 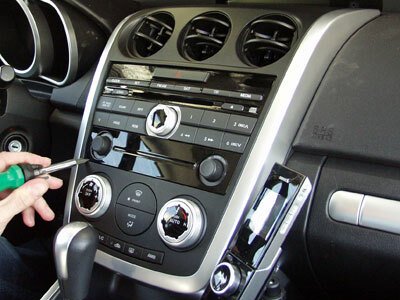 Now when you are sure that everything works guide the iPod cable to the glove box through the hole between glove box and car stereo. 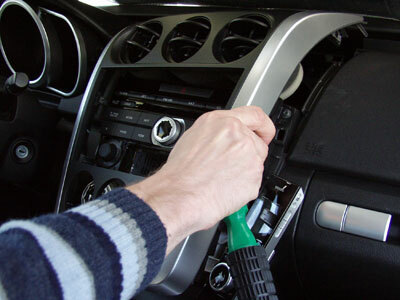 You can also choose to guide the iPod cable differently. Repeat the steps 5-2 backward to complete the installation.